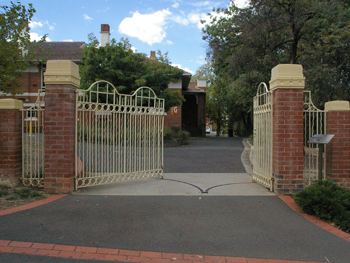 A number of significant historical buildings and features, some dating back to the mid to late 1800s, are located on the site of Bendigo Senior Secondary College. This building – started in 1929 and completed in 1930 – is named after Miss Florence Anderson who was a student, teacher, then Senior Mistress of the college for a combined 45 years. James King Hall was named after the headmaster of the school who served in the role from September 1907 to the end of 1923, following on from Thomas Hurley who held the role for six months before being appointed as a school inspector. The building dates from 1858 and was used until 1896. It subsequently became the Bendigo Continuation School (1907-1912), Bendigo Teachers College (1929-1932), Bendigo Girls School (1937-1958), 1959+ it became part of Bendigo High School/Bendigo Senior Secondary College. 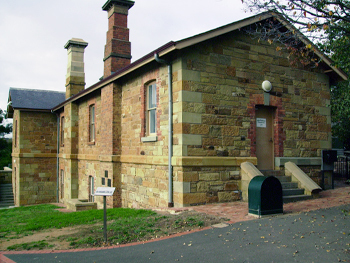 The sandstone building was completed in 1860 and served as the Police Barracks until the 1920s. From 1941 the 1967 it was used by Bendigo High School as an Art room. 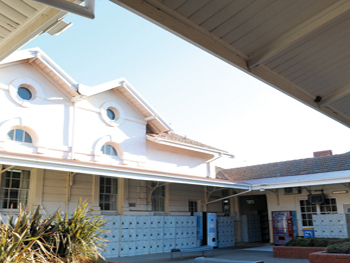 It was refurbished in 1999 and leased to Bendigo Senior Secondary College from 2000. The rooms which formed the quadrangle were finished in 1914 and included the original school building dating back to 1870. The Quadrangle was used for assemblies for many years. This building was opened as part of the school’s Diamond Jubilee in 1967. The building was named after Charles Alexander, a former student and principal (1960-1964). 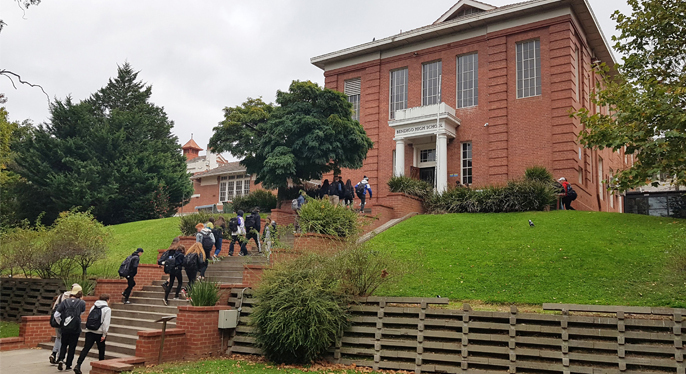 In 2017 the building underwent extensive renovations, including a new library and VCAL centre on the lower level, and new classrooms and study areas on the upper floor. 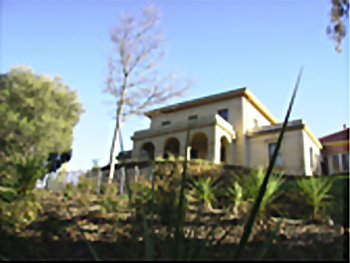 This three story building stands where the caretaker’s residence, tennis courts and playing ground once stood. It was opened in 1994. The ground floor houses English, the first level Science and the second level The Arts. 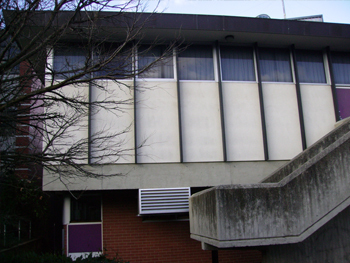 Funded by a Commonwealth Science Grant, this building was opened in 1977. 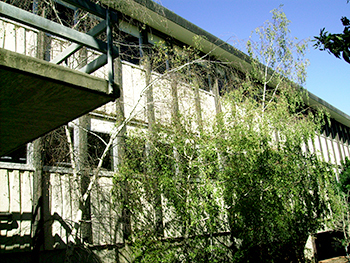 The ground floor was originally two science rooms and was extended in 1996 to house the library. 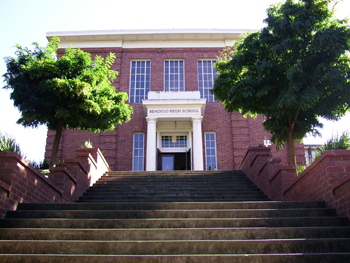 The first floor housed the library from 1977 until 1996, when it was converted to a Multimedia Centre. 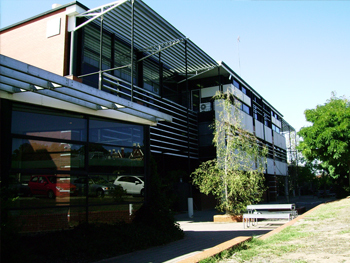 In 2018 the ground floor was renovated and now houses the Business Studies Centre. Erected in 1933 in memory of James King with the inscription “Non Omnis Moriar”. (I shall not wholly die). A tribute from his former students. This was the main entrance to the school until 1957. 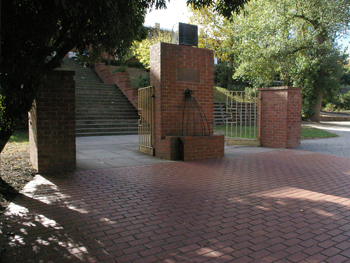 The Memorial Steps and the Memorial Gates were begun in 1956 and they were opened in 1957 as a fitting war memorial to ‘those members of the school who served and suffered that our way of life might be preserved’.